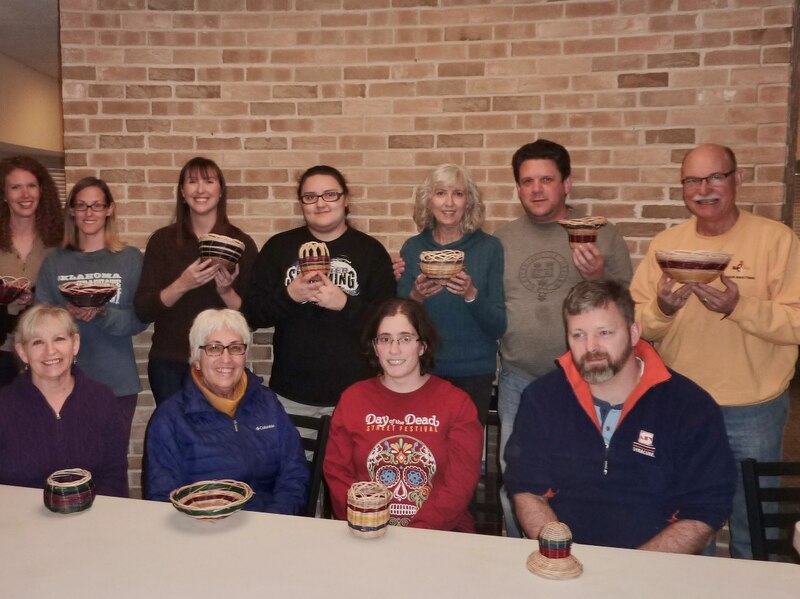 Several times per year, Norman Cultural Connection hosts a fun class on weaving Cherokee-style baskets. This family friendly event is taught by Kathy Haney, daughter of renowned artist Enoch Kelly Haney and her mother, Mary Haney. Kathy learned how to make baskets from her mother, who was in public education and worked with native students, including teaching them various art forms. Basket weaving is an art form that has survived from time immemorial. This class is an opportunity to connect not just with the community and the natural materials but with wisdom that has been passed down for millennia. Stay tuned for the opportunity to learn this art!